Presented by the “Thomas Edison of Cleanrooms,” Dr. Philip R. Austin, P.E. The most complete, authoritative & stimulating presentation you’ll ever see about the design, construction, operation and maintenance of cleanrooms and aseptic areas. 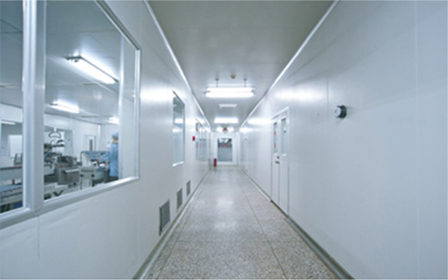 In 1964, this program was started and has helped revolutionize the science of Cleanroom Technology. These cleanroom seminars are the most concentrated courses on Contamination Control ever presented, utilizing over 2,000 slides, charts, photos and drawings in helping to make attendees thoroughly informed and knowledgeable about a subject whose applications transcend scores of industries, including medical device, semiconductor, pharmaceutical, chemical, electronics, aerospace, communications, automotive, robotics and many others. Unrivaled in course content, reference materials and thoroughness of content, this seminar will lay open the entire field of Contamination Control, from designs, to construction costs to operational requirements. Your lecturer will call upon his many years of experiences with both government and private industry facilities, giving actual examples and case histories. These sessions will bring you up to date on all current state-of-the-art advances. You are encouraged to bring your company's problems for discussion and solution. THE INFORMATION CONTAINED IN THIS SEMINAR COULD SAVE YOUR COMPANY THOUSANDS OF DOLLARS IMMEDIATELY! If the seminar is not held for any reason, Contamination Control Seminars' liability is limited to refund of the program fee. Personnel substitutions may be made at any time. The Most Knowledgeable and Powerful Speaker in the Field! In every field of endeavor, there is one individual who stands out far above the rest because of his or her knowledge, credibility, experience and the ability to communicate that vital information to others in an exciting, comprehensible and beneficial way. In the field of Contamination Control, the acknowledged leader worldwide is Dr. Philip R. Austin. Internationally respected, widely quoted and unquestionably recognized as one of the worlds foremost authority on Cleanrooms and Contamination Control. 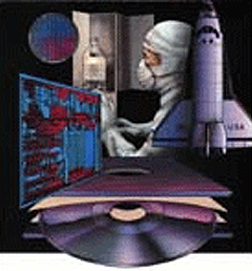 "Doc" Austin has authored the world's six superlative textbooks on Cleanrooms: ENCYCLOPEDIA OF CLEANROOMS, BIO-CLEANROOMS AND ASEPTIC AREAS; ENCYCLOPEDIA OF CLEAN ROOMS/WHITE ROOMS/STERILE ROOMS; DESIGN AND OPERATION OF PHARMACEUTICAL BIO-CLEANROOMS AND ASEPTIC AREAS; DESIGN AND OPERATION OF BIO-CLEANROOMS FOR MEDICAL DEVICES; DESIGN AND OPERATION OF CLEAN ROOMS and AUSTIN'S CLEAN ROOMS OF THE WORLD. Formerly Project Officer for all USAF Cleanrooms, responsible for USAF Technical Order 00-25-203 that literally set the standards for an emerging industry, Doc Austin was on the committee that authored Federal Standard 209 on Cleanrooms. 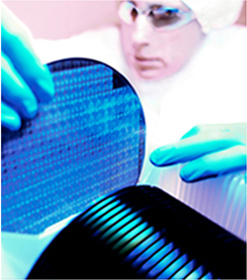 He has written over 100 Cleanroom Technical Papers and reports to publications in the Cleanroom Field. He received the USAF Commendation Medal for outstanding engineering of Cleanrooms and for saving millions of dollars in construction and operation costs. His credentials also include Registered Mechanical Engineer, B.S., M.S., Ph.D. and an International Cleanroom Consultant and Lecturer. DR. AUSTIN IS AVAILABLE FOR PRIVATE CONSULTATIONS TO YOUR COMPANY. CALL 800-831-5351 FOR MORE INFORMATION.